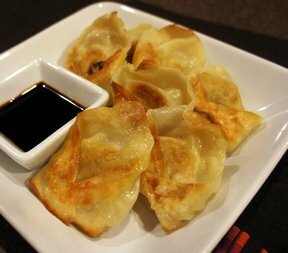 A Chinese dumpling that is perfect next to your own take-out. 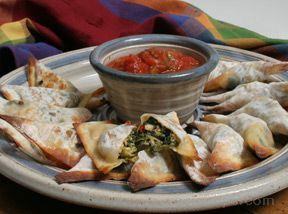 With a crunchy side but a soft dumpling texture on the rest, these appetizers are sure to be a hit. Fold them any way you like them. Brown the ground pork until no longer pink; drain. Add cabbage and onions. Cook until cabbage is softened, approximately 10 minutes; remove from heat. 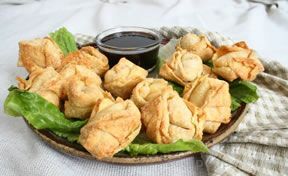 In a small bowl, combine soy sauce, oil, wine, sugar, cornstarch and salt. Stir into meat mixture. Place 2 teaspoons filling in center of wrapper, wet edge with egg white and seal. Hold to edge and press down to flatten bottom. Heat a 12" skillet with oil and fry pot stickers on medium high heat until brown on all sides. Add stock, cover and cook until liquid is absorbed. Serve with soy sauce, if desired. 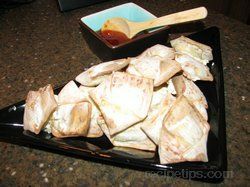 "Not a whole lot of fun to make because they are so time consuming, but they really are tasty! My kids liked them before they were put into the broth, when they were crispy all around. I liked them in the broth. Sweet chili sauce is really good served with these."